Before taking off on our Germany trip, I was in Italy. 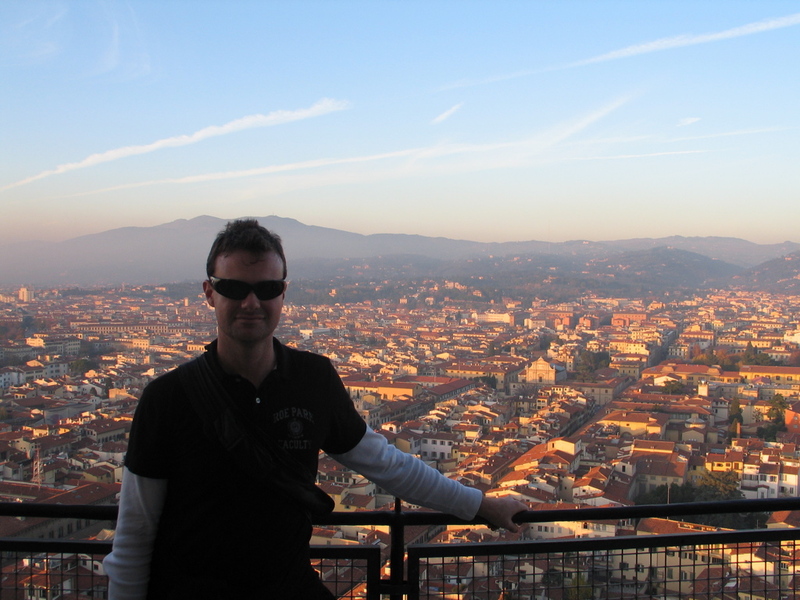 The first 7 days were spent in Rome and Venice, then it was time to move onto Florence. 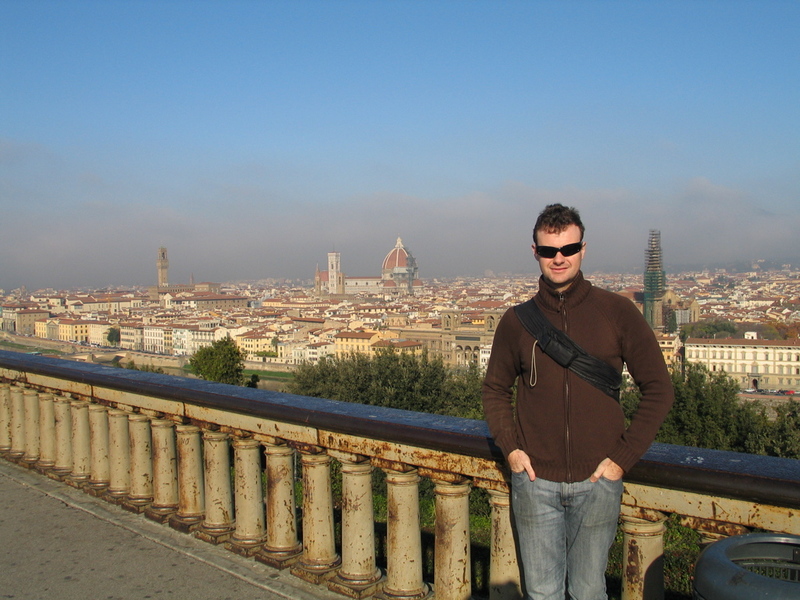 Florence is a great city, so busy, so happening, and very beautiful. 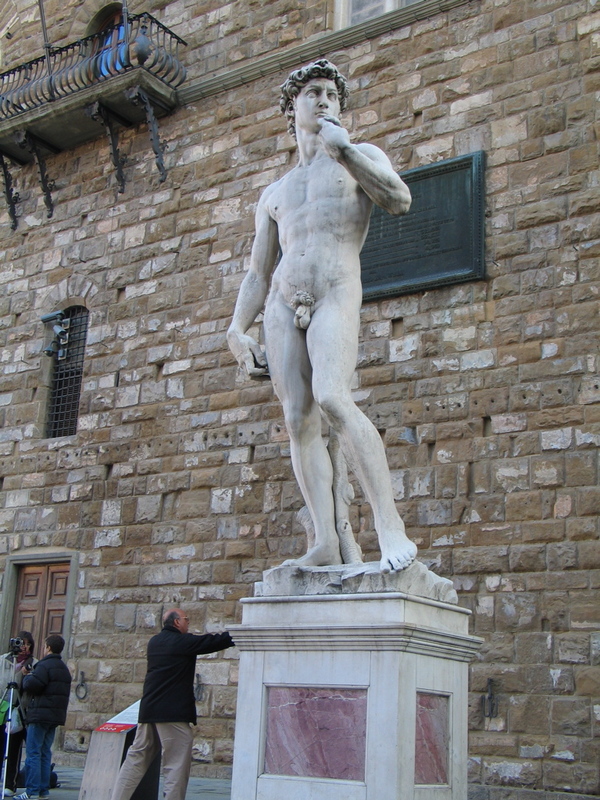 Those that have been to Florence will know that the city is full of museums, and is very very famous for art. Given that I know nothing about art (except for maybe a handful of very famous artists), the two nights spent there was enough for me to see the city. Here are a few photos I took on the walk through town, check’em out. I went for a walk to see Neptune’s fountain, and was not disappointed. This is a huge fountain, and is certainly a work of art. 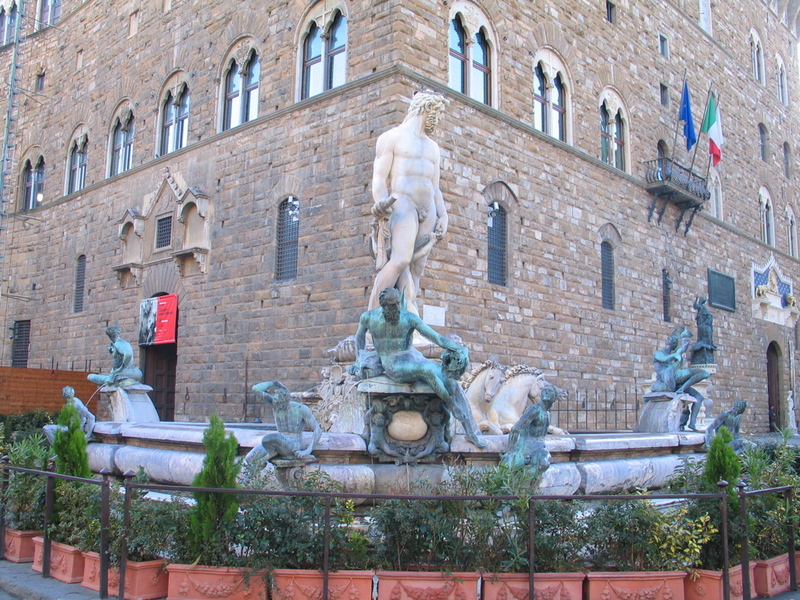 Next to the fountain is the replica of the David Statue in Palazzo Vecchio. The real statue lives in Academia Gallery. I also visited the Gallery on the trip. The statue is just incredible and is massive. It is worth seeing!!! Next it was onto the Duomo. 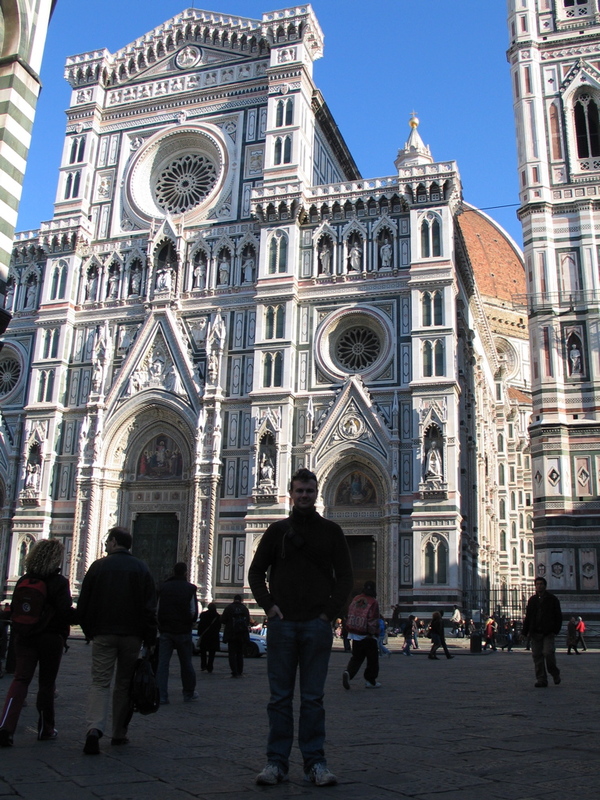 This Cathedral is massive and most certainly stands out as the major landmark in Florence. I also walked up the hundreds of stairs to the top of the Church. Was such a great view. 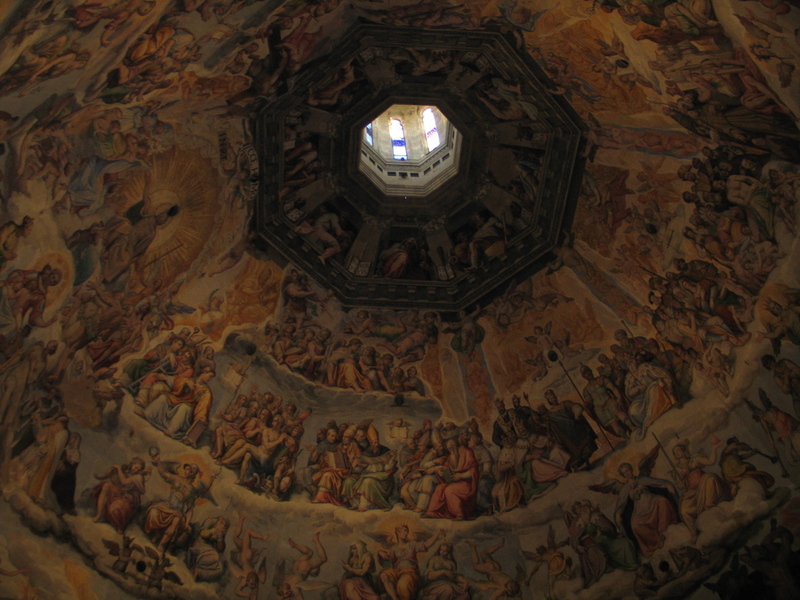 On the way up to the top of the Duomo I took a photo the art in the Dome. Even for someone like me that knows nothing about art, it was pretty unreal. Some of the paintings are just extremely weird but cool. Long way down from the top of the Dome! Wouldn’t like to fall. 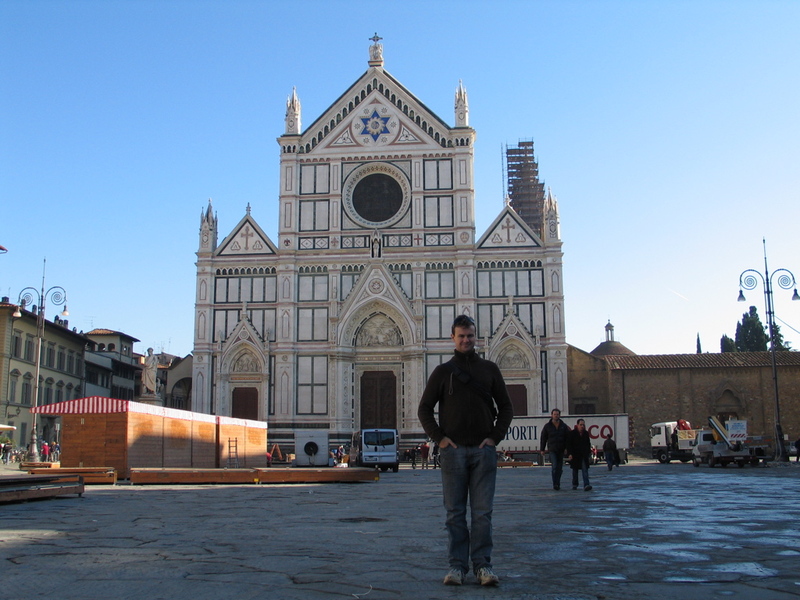 The Church of Santa Croce. 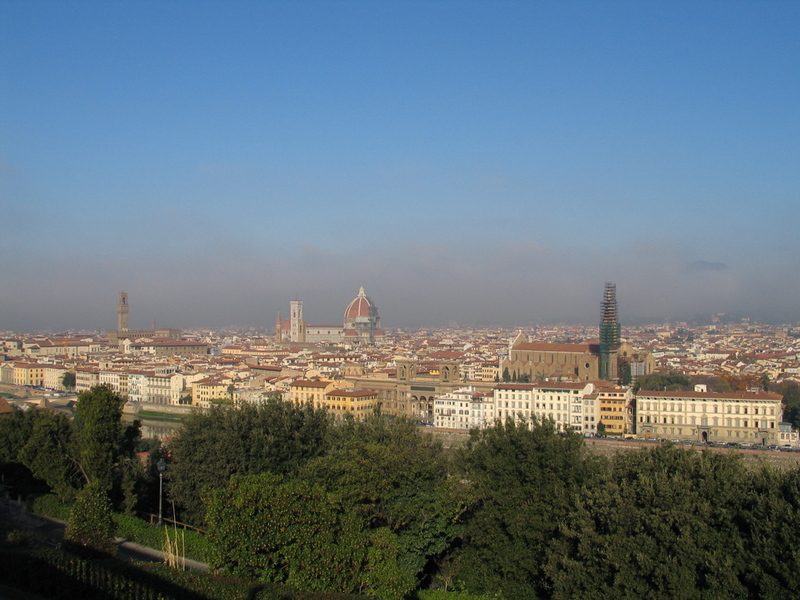 The best view of Florence from Piazelle Michelangelo. Another shot from Piazelle Michelangelo. 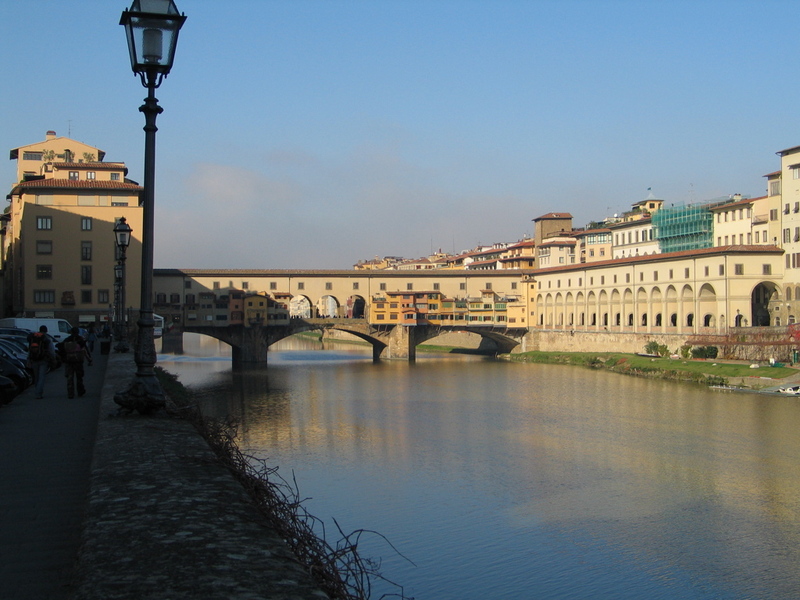 Ponte Vecchio, the oldest of Florence’s six bridges. This was the only one that was not destroyed in the war. On the way back to the hotel I saw this little guy sitting in the shop door. 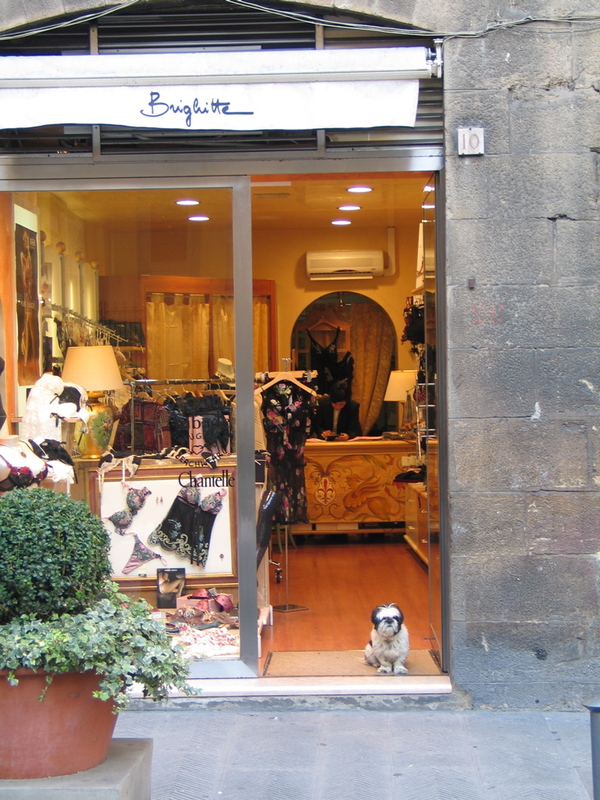 Cute puppies are everywhere in Italy!! 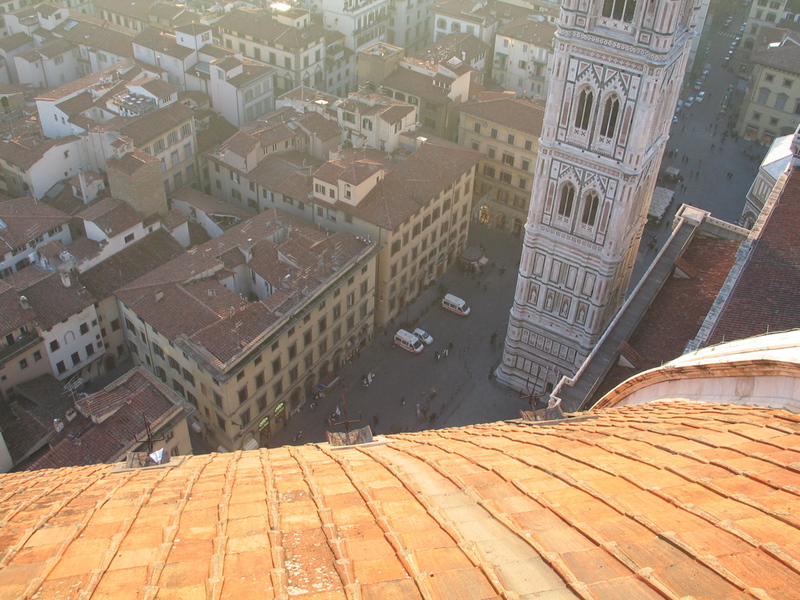 These are only a sample of the photos I took while in Florence. You can find the best photos here. I also visited Pisa on the trip. Pisa is of course famous for the leaning tower. The Tower is much bigger than I imaged. You can find my photos here. Well that just about does it for my Italian posts. Tomorrow I will try to work on some stuff from Britty and my trip of Germany.